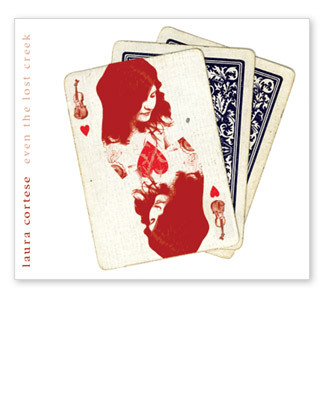 album design concepts The design process for Laura's Even the Lost Creek album began with her saying, "I am thinking vintage Italian Riviera with a hint of winter.' From there we generated a series of concepts. Here are a couple of our favorites, along with the finished album cover.